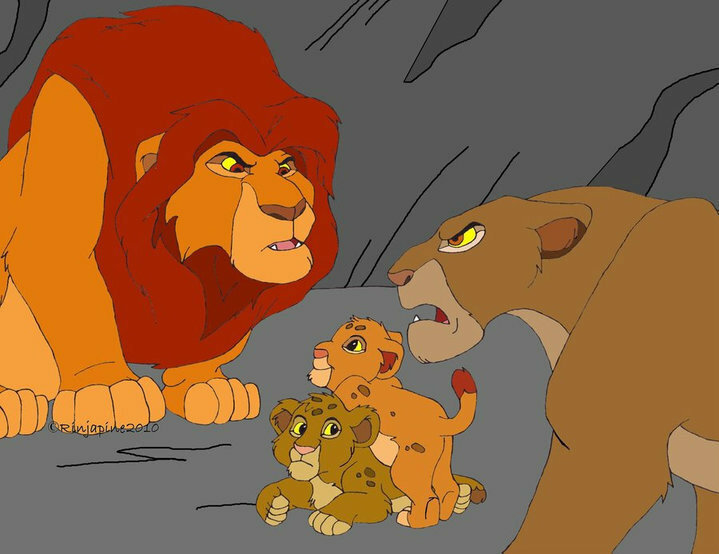 Uru&Ahadi. . Wallpaper and background images in the o rei leão club tagged: disney the lion king lion. This o rei leão fan art contains anime, banda desenhada, manga, desenhos animados, mangá, and quadrinhos. That look more of like Mufasa and Sarabi but the cubs are like Mufasa and scar when they were newborn :)!!! !